Avoid Sri Lanka’s south west monsoon rains and ride north to beautiful beaches, past quaint fishing villages, and swathes of lush green jungle on this cycling adventure from Negombo to Colombo. 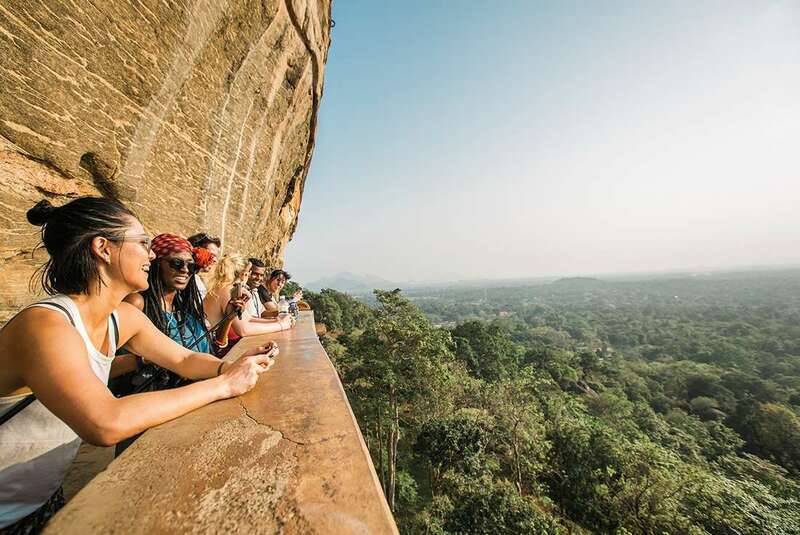 Sri Lanka is one of Asia’s most exciting new destinations and it’s not hard to see why. With pristine coastline, ancient ruins, rugged peaks and wildlife-filled parks, it’s a dream for travellers who like to get active. In between the amazing cycling, laze on the beach, explore the country’s premier Hindu and Buddhist sites, and taste the flavours of the tantalising night markets. Cycling allows you to get closer to the real Sri Lanka, with a visit to the temple complex of Anuradhapura and a scenic train trip taking the sightseeing to the next level. From the sensational seafood of Negombo to the pulsing night markets of Colombo, Sri Lanka a feast for the senses. Optional ‘food-crawls’ in most locations connect you with the best local street food. 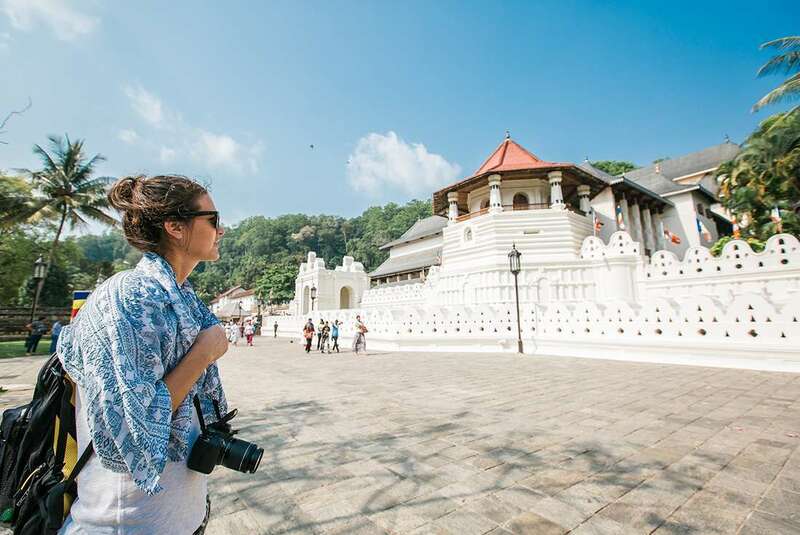 Step back in time as you explore Sri Lanka’s most important religious and heritage sites, including the Temple of Tooth Relic and Anuradhapura. 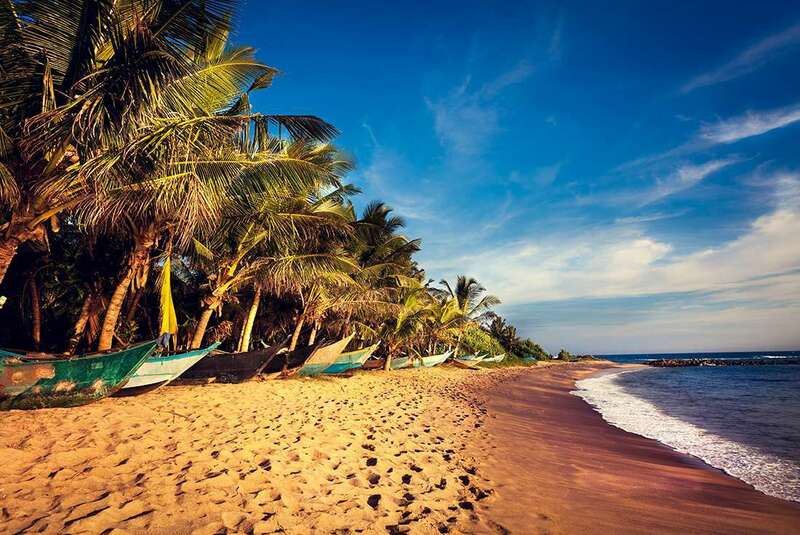 Relax and unwind along the undiscovered sandy beaches and azure waters of Sri Lanka’s northern coast. Experience a fascinating slice of traditional culture with a Kandyan dance performance in Kandy. Occasionally our itineraries are updated during the year to incorporate improvements stemming from past travellers' comments and our own research. The information given in this itinerary may be slightly different to that in the brochure. It's very important that you print and review a final copy of your Essential Trip Information a couple of days prior to travel, in case there have been changes that affect your plans. If you have any queries, please contact your travel agent or our staff. We are here to help you! Please note that while we operate successful trips in this region throughout the year, some changes may occur in our itineraries due to inclement weather and common seasonal changes to timetables and transport routes. This can happen with little notice so please be prepared for modifications to the route. The order and timing of included activities in each location may also vary from time to time. OPTIONAL ACTIVITIES: A selection of optional activities that have been popular with past travellers are listed in the day-to-day itinerary. This isn't an exhaustive list and should be used as a guide only. Prices are approximate, are for entrance only and don’t include transport to and from the sites or local guides unless indicated. All activities are subject to availability and it may not be possible to do all the activities listed in the time available at each destination, so some pre-planning for what you are most interested in is advised. 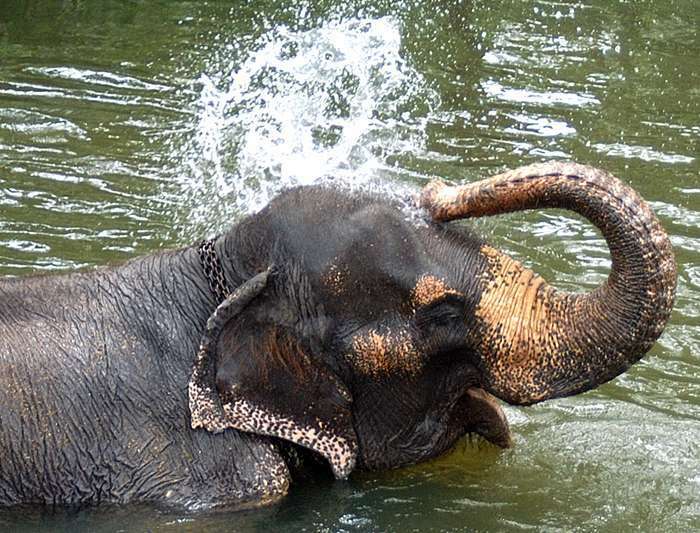 When it's recommended that travellers pre-book these activities, look for a note in the Special Information section of the day-to-day itinerary. For most, they can either be organised independently on the day, or just let your leader know you are interested and they can assist. Where activities are considered medium or high risk, we work with operators whose safety and credentials we have sighted and assessed. This means that it is possible that you may find the same activity cheaper with another operator on the ground, however we cannot vouch for the safety or quality of that operator. Activities not listed above have not been assessed by us and as such our staff and leaders are unable to assist you with organising these activities. The decision to partake in any activity not listed is at your own discretion and risk. Rise early and enjoy some breakfast at the hotel. Start off with a test-ride through the city streets then cycle from Negombo to Mahawewa (approx. 35km) with the Laccadive Sea your constant companion. Along the way, you'll encounter quaint fishing villages, the scenic Dutch canal, coconut plantations and various tile factories. Sit down to a picnic lunch on arrival in Mahawewa. Afterwards, hop aboard the support vehicle and travel to Anuradhapura (approximately 140km/3hrs). Here you can settle into your hotel, relax or grab a well earned beer (or tea). 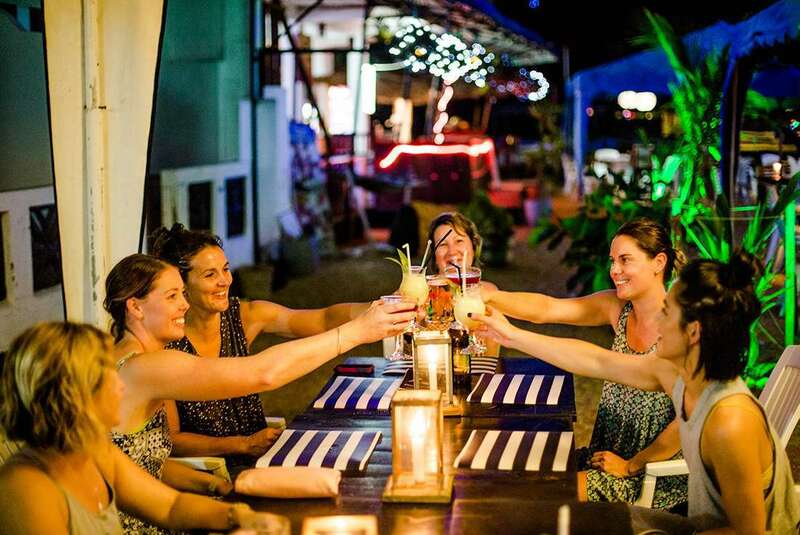 You have the option of joining a 'food crawl' through the streets and markets of Anuradhapura – a great chance to sample some tasty local cuisine. Riding distance: approx. 35kms/22 miles, mostly flat with approx. 170m/560ft of elevation gain. After breakfast, cycle to the UNESCO World Heritage site of Anuradhapura (approximately 20 km each way). 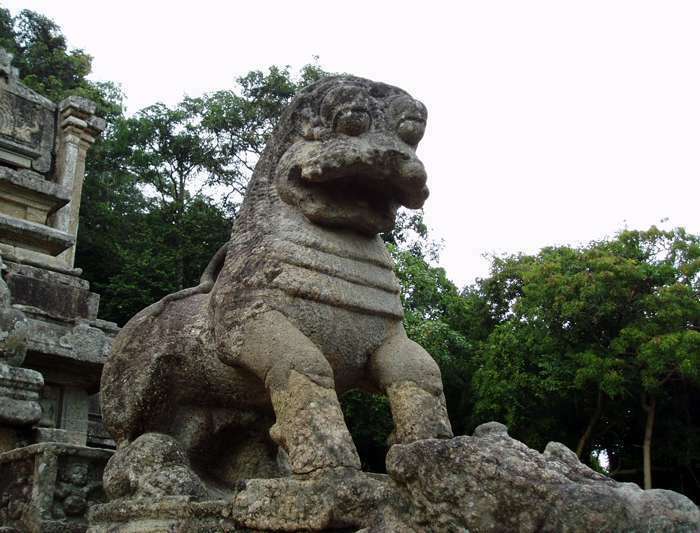 Enjoy a guided bicycle tour of the ancient city. Among the ruins you'll see the sacred old Bo Tree – a spiritual reminder of the beginnings of Buddhism in Sri Lanka and the inspiration for Anuradhapura's great buildings. The ruins themselves are spread over quite a large area, with some in woodland settings and others appearing more cultivated with columns and ponds dotted about. Pay a visit to the Anuradhapura museum, then enjoy a local lunch. Return to the hotel and enjoy free time for the rest of the afternoon. Riding distance: approx. 37kms/23 miles, mostly flat with approx. 130m/430ft of elevation gain. Take the train (approx. 4hrs) to the very north of Sri Lanka and the delightful city of Jaffna. This city was only recently reopened to tourism after the Sri Lankan Civil War and has a strong southern Indian influence which you can see on the streets and in their food. 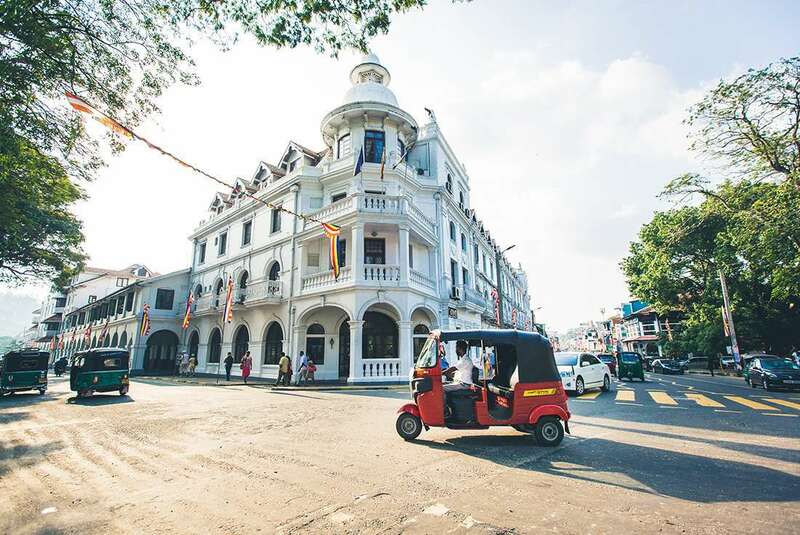 Despite it's more recent trouble this colonial port town has a rich 2000 year history and boasts a vibrant Tamil culture, Dutch and Portuguese influenced architecture, buzzing markets, beautiful nearby beaches and golden-hued temples. Enjoy an evening ride around the city to get a better feel for a city that very few travellers get to experience. Riding distance: approx. 40kms/25 miles, mostly flat with approx. 140m/470ft of elevation gain. Today is an early start as we start cycling (approx. 35kms) early from the city to the Kurikadduwan Jetty, the jump off point to the nearby islands. Take a boat to Delft Island, named during Dutch colonial times and enjoy a ride around this fascinating isalnd. 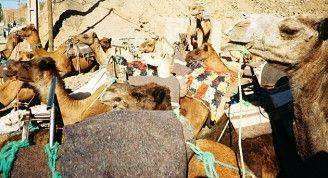 The colonial legacy remains with the limestone and coral Portuguese/Dutch fort and the free roaming wild horses, as well as ruins of 3 ancient stupas dating back to the 14th century. 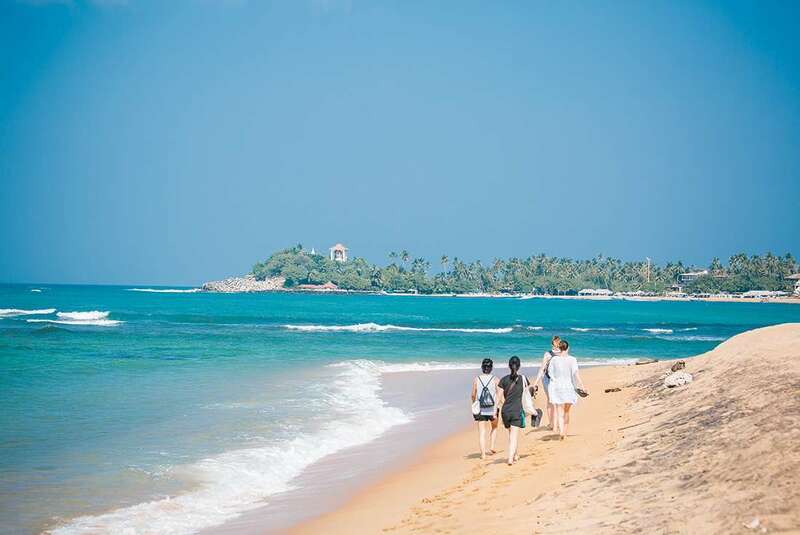 Kick back and relax for a while on one of the white sand beaches then take the boat to the island of Nainativu and walk to the nearby Nagadeepa Buddhist Temple, considered one of the 16 holiest Buddhist Sites in Sri Lanka. From here we transport by vehicle back to Jaffna. Riding distance: approx. 45kms/28 miles, mostly flat with approx. 130m/420ft of elevation gain. Leave Jaffna and cycle (approx. 40kms) the flat coastal roads and causeways south to your first real 'climb' on the trip, the Sangupiddi Bridge that separates Palk Bay from the Indian Ocean. Continue on to the small town of Pooneryn then take the support vehicle for the long drive (approx. 3-4hrs) to the east coast and the charming coastal town of Trincomalee. Surrounded by wildlife, hilltops and rock formations laid back Trincomalee offers beautiful white sand and nearby Nilaveli is one of the best beaches in Sri Lanka. From March to August it is also famous for whale watching, or for more dramatic views check out Koneswaram Temple, built on the very edge of an ocean cliff. Riding distance: approx. 40kms/25 miles, mostly flat with approx. 100m/320ft of elevation gain. Today is chance to rest those cycling legs and enjoy a free day to sit back and enjoy the laid back atmosphere or get active by exploring the town and surrounds. For a close up ocean view why not take a snorkeling trip out to the clear waters surrounding Pigeon Island, one of only two marine National Parks in Sri Lanka, with some of the best remaining coral reefs in the country.